With the Panasonic AF100’s launch fast approaching, a lot of people are itching to use their Canon glass on the micro 4/3 mount. The main problem with using Canon lenses on other mounts is that Canon glass has electronic aperture control. If you simply attach it with a mount adapter and no aperture control, you can’t adjust your f-stop. 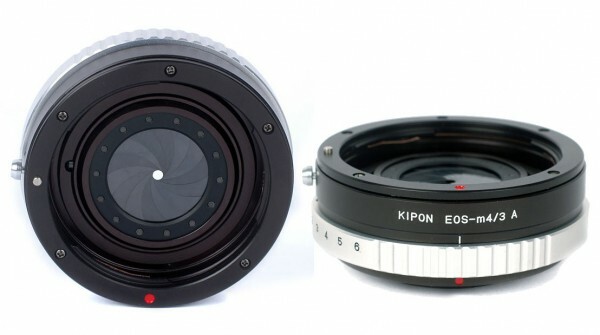 Birger has promised an electronic adapter for manual aperture control and possibly autofocus. No word yet on when that will arrive. Now it looks like a company in Hong Kong has built a different style Canon to M4/3 adapter. Instead of having electronic aperture control, the adapter has its own built in iris. Since the iris on Canon glass is wide open when it’s not plugged into a body, this new adapter design should work great. Plus at a price of $125, it’s a safe gamble to test out.